The Mackenzie Fitness website has been designed by the creative media team known as Quoakle. The website was created in 2016 using a WordPress responsive template called Divi. Quoakle has a reputation for affordable website promotion as well as friendly support. Quoakle Director, Nigel Steele, continues to be inspired with creative ideas. In 2013, the Quoakle team began developing the popular Great Days Out Directory – “Great Days Out”. 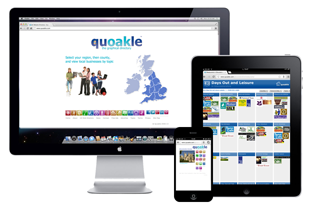 Quoakle’s Graphical Directory is known for its clean, clear page layout and simple site structure enabling users to see at a glance exactly what they want … and very quickly! The Quoakle team has other clients in Devon, including Ellis Sweeps – a chimney sweep in Devon and Brie Fitness Training also based in Crediton.